The Computational Sciences Symposium (CSS) celebrated its 7th annual event in Silver Spring, Maryland (US). The event brings together Academia, Regulators, Industry, and technology providers to address computational science needs in support of regulatory review in order to bring safe and effective products. CSS has established itself as the premier collaboration within the clinical trial environment, including the engagement of regulatory agencies FDA, EMA and PMDA. 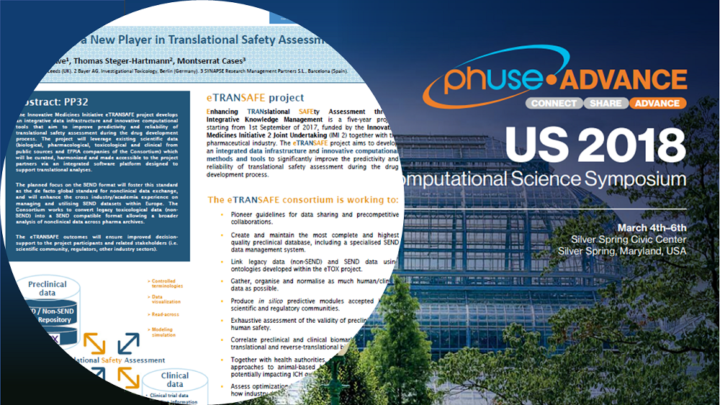 “eTRANSAFE, a New Player in Translational Safety Assessment” poster, written by William Drewe (Lhasa Limited), Thomas Steger-Hartmann (Bayer AG), and Montserrat Cases (Synapse) was presented at the meeting by Wiliam Drewe on behalf of the project consortium. A separate meeting between eTRANSAFE and FDA representatives was organized with the aim to disseminate the project and to open a dialogue with the regulatory agency. 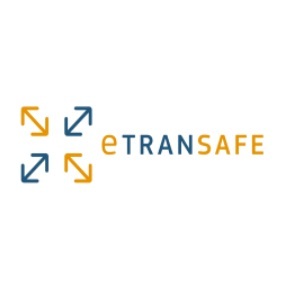 The eTRANSAFE project, managed by Synapse, develops an integrative data infrastructure and innovative computational tools that aim to improve predictivity and reliability of translational safety assessment during the drug development process.